What was inside these boxes? 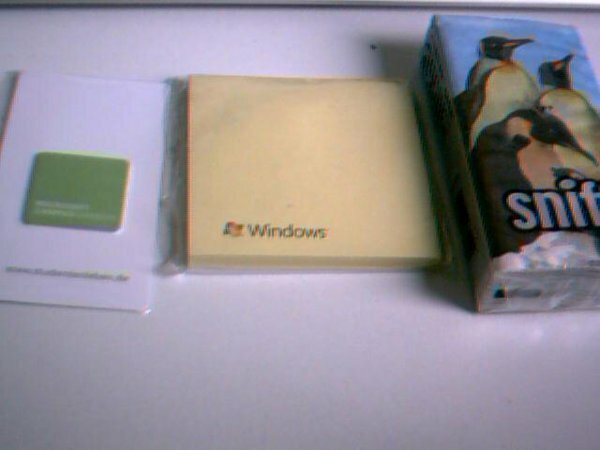 The first one is a Microsoft(R) Cell-Phone-Display-Cleaning-Thing (don’t know how to use it yet :P), the second are post-its and the third thing are penguin-tissues from a zoo nearby. Join us! We’re all staying on Titanic. It’s all good. I actually like the humor your friends have :-). Ximion's Blog » Blog Archive » Meet the Tux!